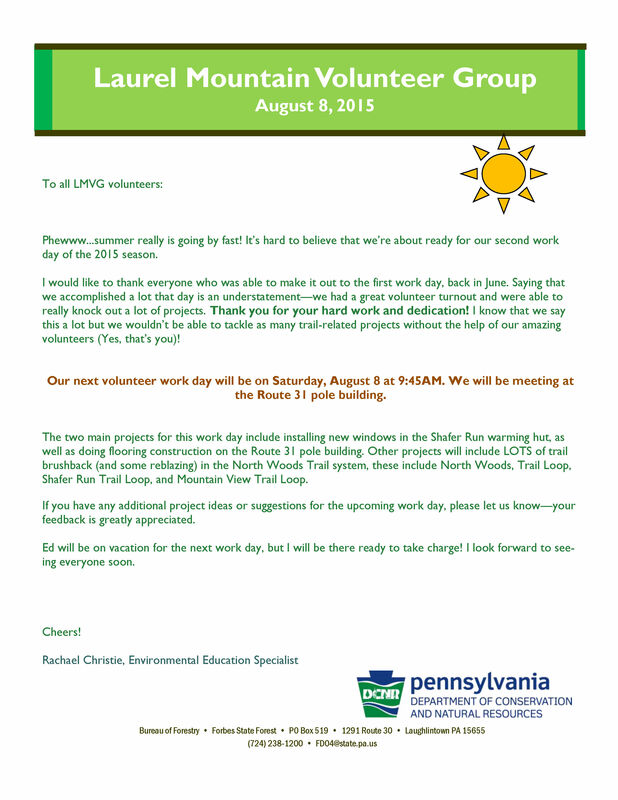 Our next volunteer work day will be on Saturday, August 8 at 9:45AM. We will be meeting at the Route 31 pole building. The two main projects for this work day include installing new windows in the Shafer Run warming hut, as well as doing flooring construction on the Route 31 pole building. Other projects will include LOTS of trail brushback (and some reblazing) in the North Woods Trail system. For more details, see the flyer (click on the image).